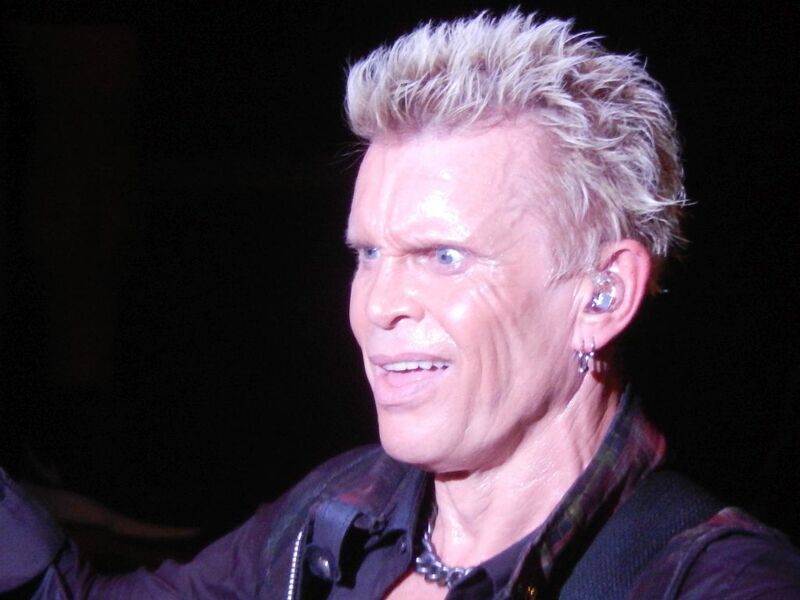 What made me want to go see Billy Idol? Besides his handful of catchy hits that used to forever blare off my MTV, two things came to mind. First, his cameo in The Wedding Singer gave me the impression that he was a likable guy. But more so I focused on the fact that he had true punk-rock cred from his early days with Generation X. However, after seeing Billy for the first time recently at the Mother Church, I came away with some mixed feelings. And without sounding like too much of a snob, the crowd was one of the most unhip I have ever seen at the Ryman–way too many black TV shirts and dated hairdos. It was a definite anti-Americana right in the middle of Music City’s annual Conference. Billy did come across as a nice guy. Behind those iconic sneers of his, he smiled a lot. And when I could understand what he was saying, he seemed quite positive and cheerful. He even thanked us all at one point for making his life “so f***ing wonderful.” He was also majorly fan-friendly. Those in the front received plenty of high-fives, and at the show’s end, he went out of his way to hand out set lists and drum sticks without even being asked. And after the final notes of show-closer “Mony Mony,” he signed a few dozen autographs for fans wielding records and the night’s Hatch Show Print poster. But as a concert, there were things I liked and things I didn’t. The hits were great to hear; especially a “White Wedding” that started off with just Idol singing behind only Steve Steven’s muted guitar before going full throttle on us. Some of the non-hits though got a bit tedious, and sadly, I left thinking that Billy’s pretty much been a musical dinosaur since establishing that MTV legacy some 30 years ago. 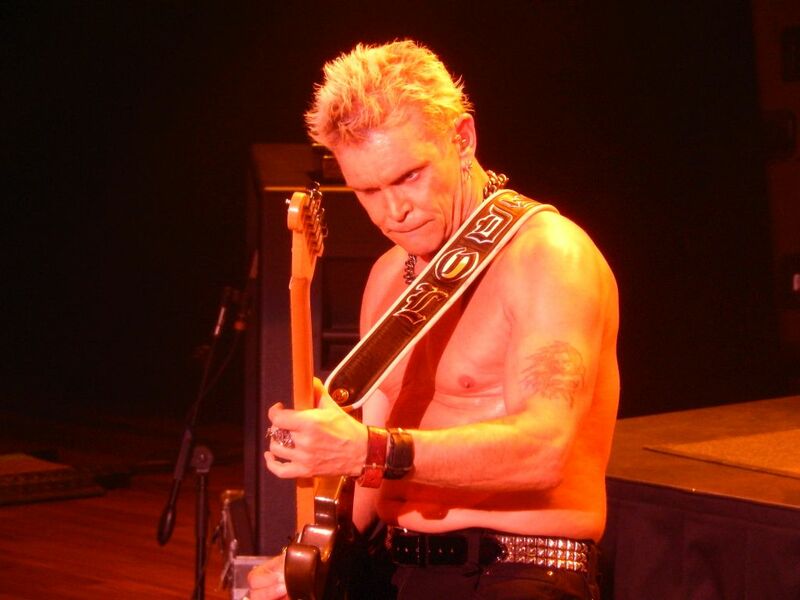 At age 60, I also thought he was perhaps too old to be taking off his shirt! (His six-pack now looked like a small keg.) 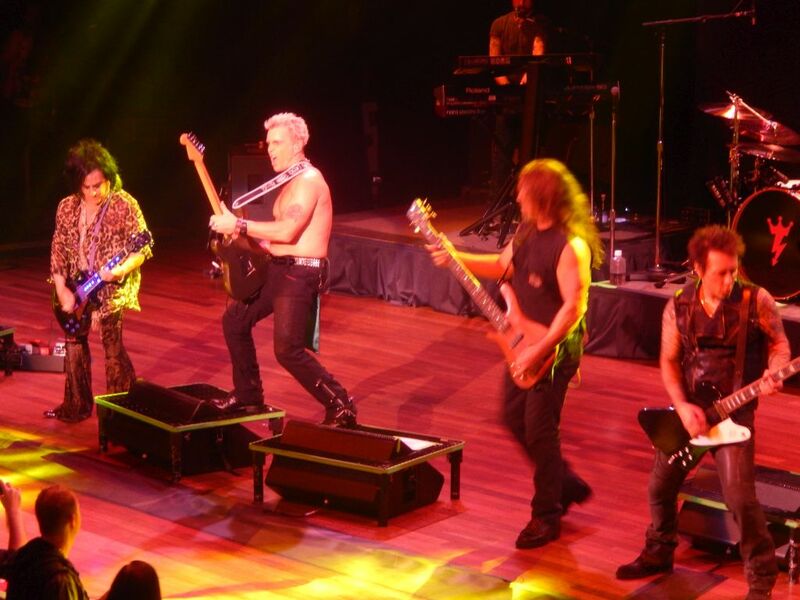 Also there was way too much leather and shirt changes for a man that age. 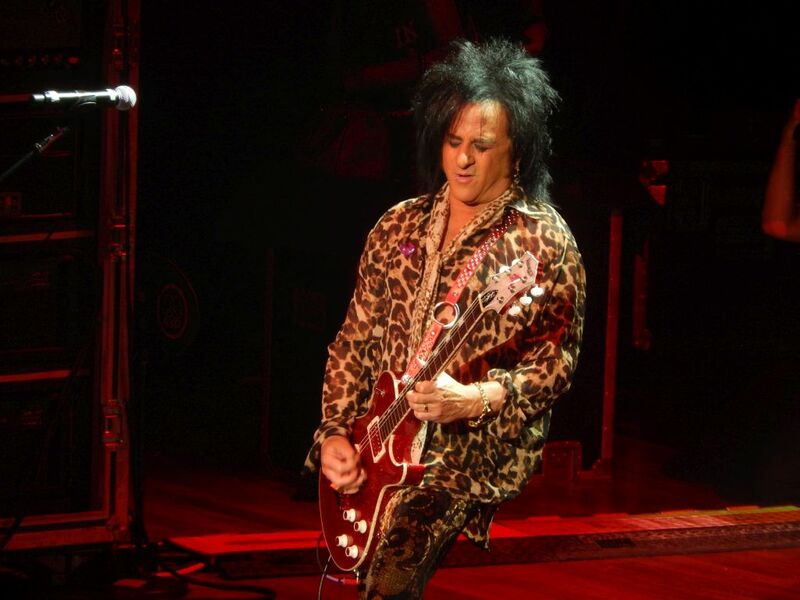 Steve Stevens also was sometimes too much for me to take. He was quite often a little too over the top with his flashy style. And I found most of his guitar solos, including a lengthy one that makes the set list as its own number, rather uninspiring. Also, a musician wearing eye makeup in the 21st Century just seemed dated.